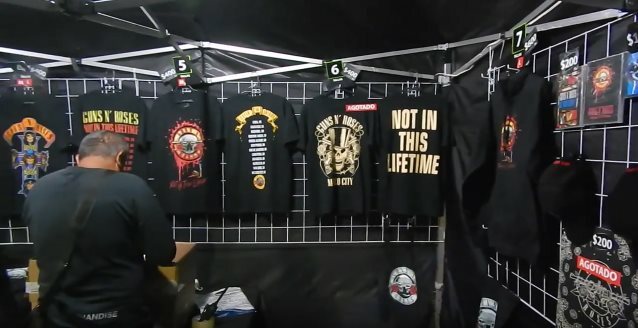 A GUNS N' ROSES fan by the name of Dan Delaney has uploaded video tour of the official and bootleg merchandise stands at the band's November 29 concert at at Palacio De Los Deportes in Mexico City. Check out the clips below. The production manager for the current GUNS N' ROSES reunion tour shed some light on the trek's future and inner workings in an interview with local Atlanta TV station WXIA. Speaking one day before the group's concert there, Dale "Opie" Skjerseth said that the "Not In This Lifetime" tour has "no end date," and that shows are already booked "far into next year." Skjerseth said that all members of the band are "getting along just fine" and shot down speculation that they have separate dressing rooms due to tension within the ranks, Skjerseth said: "Just because everybody's older, they carry their families with them. They all have to have their space. Everybody meets before we go on stage. It's a meeting point and that's where the chemistry happens." 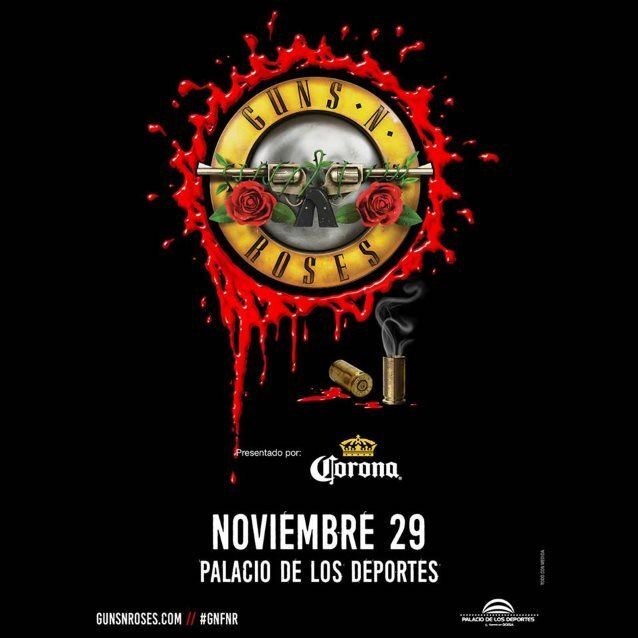 The tour features original members Axl Rose, Slash and Duff McKagan on stage together for the first time in more than 20 years.